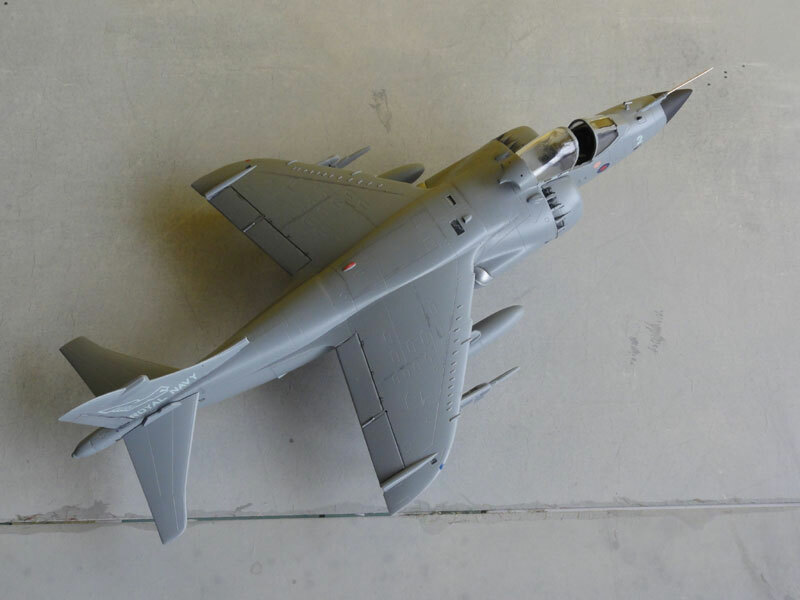 The Hawker Siddeley Sea Harrier was based on the Harrier VTOL aircraft and was modified to act as a naval jet fighter, reconnaissance and attack aircraft to be used from smaller carriers. Development started in the seventies and its cockpit was set "higher" for better pilot visibility. 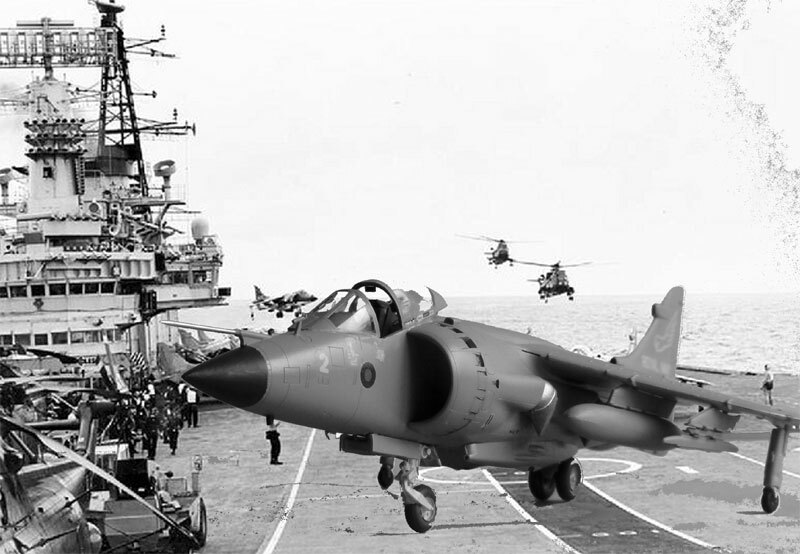 It first entered service with the Royal Navy in April 1979 as the Sea Harrier FRS1 and its role was mainly to provide air defence of the fleet from British Royal Navy aircraft carriers through the FAA Fleet Air Arm. 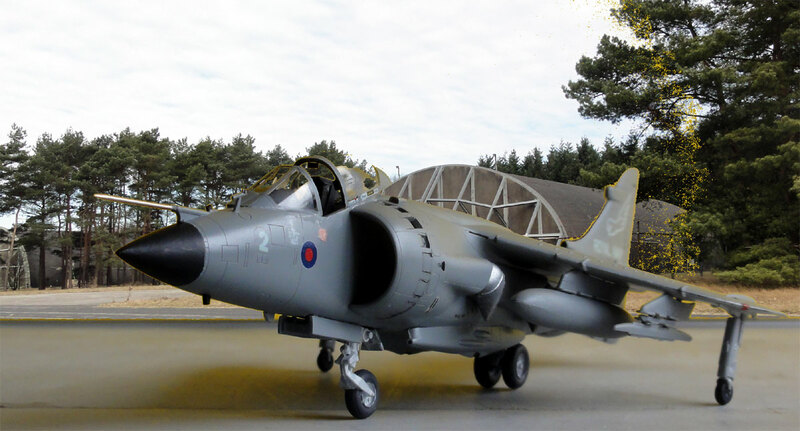 The Sea Harrier served first in the Falkland War in 1982 to protect the British Task Force. 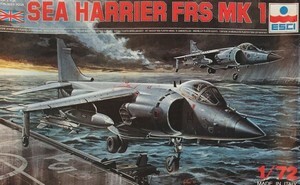 About 57 FRS1s were delivered between 1978 and 1988; most survivors converted to Sea Harrier FA2 specifications from 1988. The type was also exported to India. The ESCI kit, no. 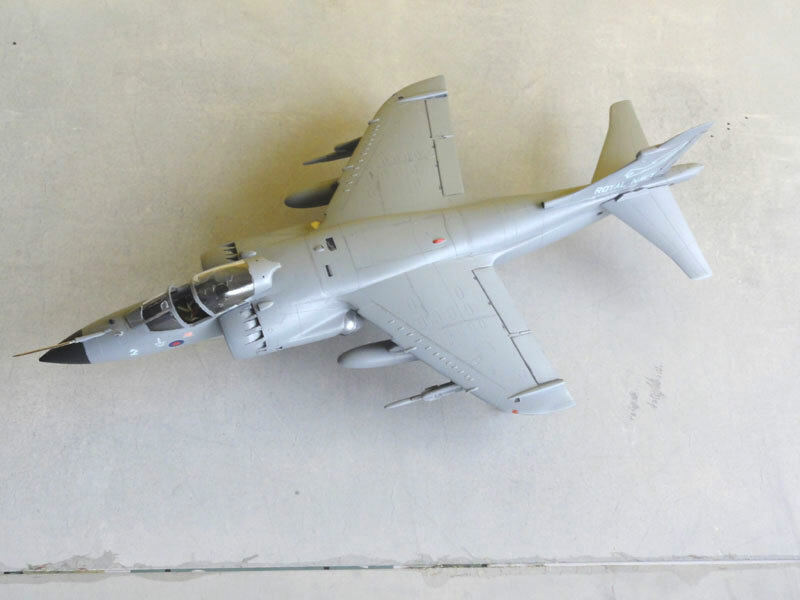 9030, is an old 1/72 kit but was in the Harrier series of ESCI. Released in 1984, it is still the best kit in this scale I believe despite the much later short run Xtrakit. 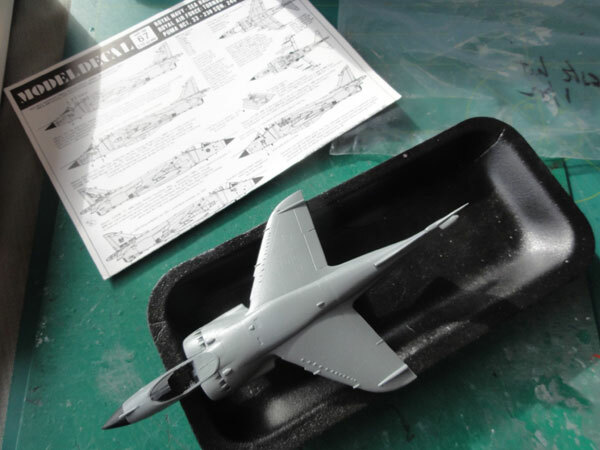 This kit is accurate in outline although no special stores are in the kit such as a Sea Eagle. 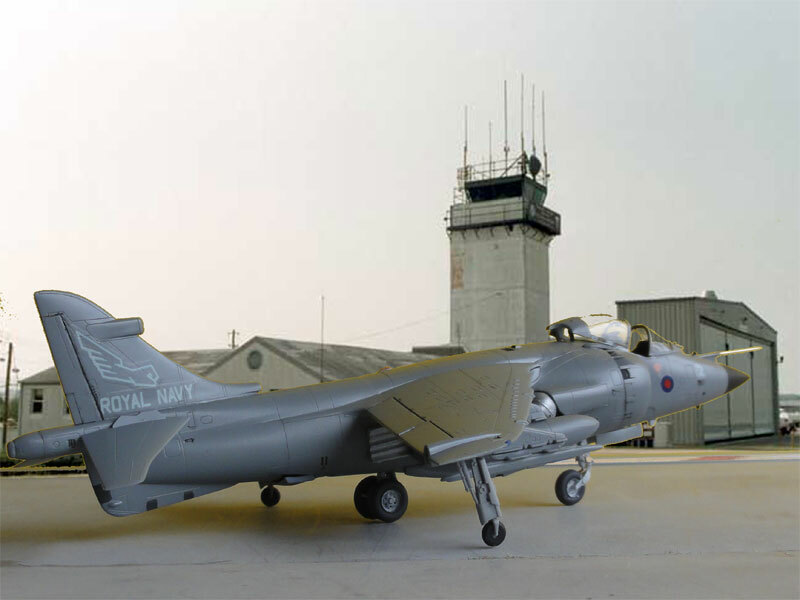 In the ESCI kit, Sea Harrier FRS 1 decals are provided for 2 schemes of a Royal navy 899 squadron Sea Harrier. (I believe this kit was also issued under the Italeri label). 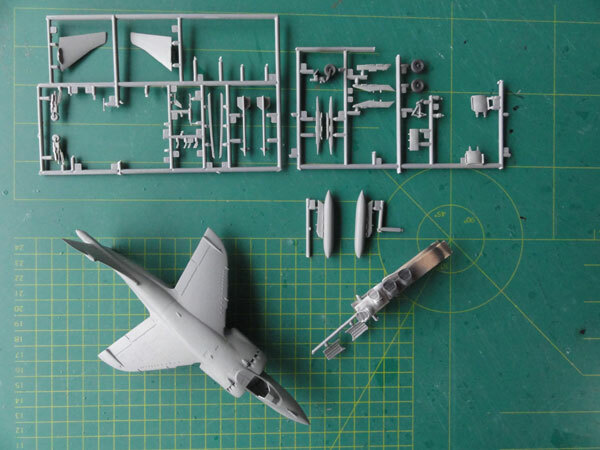 The about 90 parts are finely moulded and there is a tub, seat and stick in the cockpit. Instrumentdecals are provided. 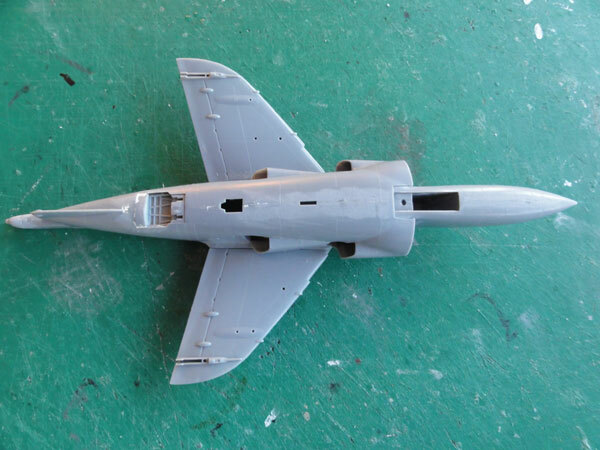 The Sea harrier nose section is separate as it is part of a whole series of ESCI Harriers. This kit will be made straight forward almost out of the box. The tub floor was made a bit longer with card at the front with the foot control pedals. Cockpit interior was painted matt medium grey with black details like on the seat and instrument consoles. Seat cushion was painted olive drab and harness made from tape strips added. 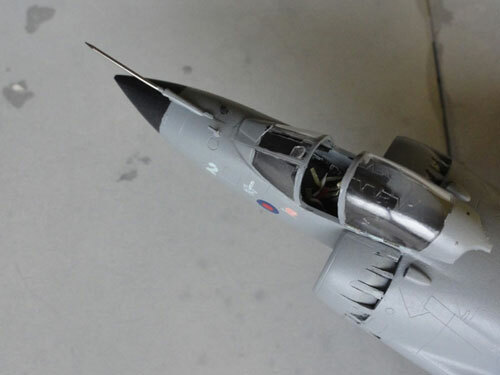 In STEP 4, the intake suction doors are all moulded closed, whereas on a ground parked Harrier the upper doors droop open. So, the upper doors were cut open from parts #2 and #5 and doors made with plastic cart set open. 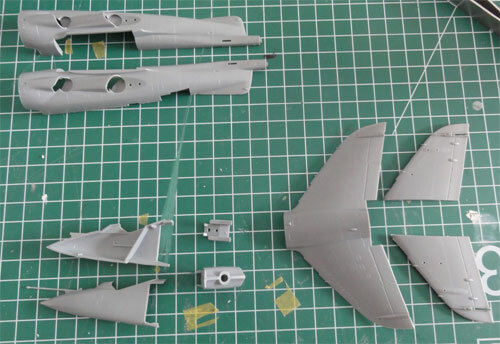 The assembly was easy with a little bit of filler and sanding needed, particularly at the intakes. 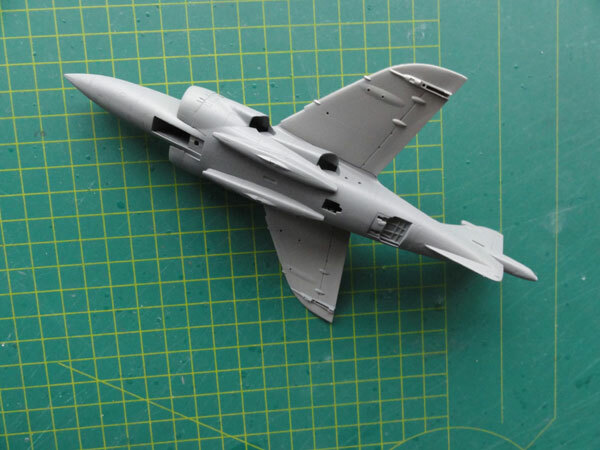 The jet nozzles are fitted later on, just as the undercarriage. First, painting will be done. 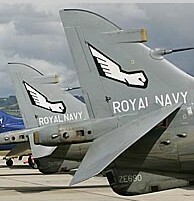 Bay interiors were painted "dirty" white and undercarriage legs light grey. The stores and pylons were also not forgotten during painting. The front "cold" engine exhaust nozzles were painted metallic, the rear "hot" nozzles and rear blast screen metallic with a drop of black mixed in. Wheel tyres were painted "tyre black"/ very dark grey. Medium Grey: I used Gunze Sangyo 306 acrylic (or use Humbrol Hu 126 enamel). 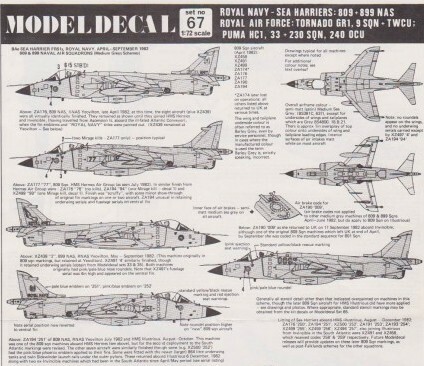 ... for the Sea Harrier, a nice MODELDECAL sheet 67 of the year 1983 was available. The scheme picked with for a Royal navy Sea Harrier of 899 NAS at RNAS Yeovilton, UK, around 1982. Coded XZ439, this machine according to the Modeldecal information originally had 809 sq markings and had a red/blue roundels only on the fuselage. 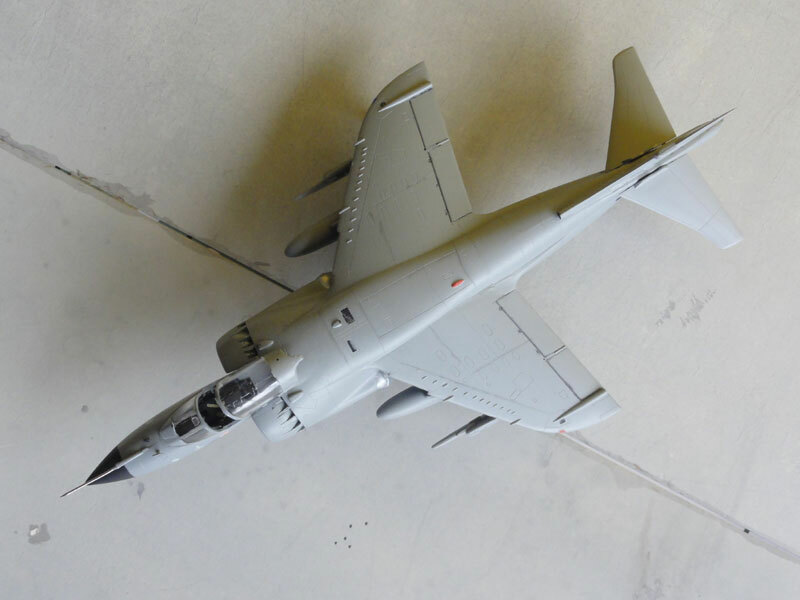 On the fin a low visibility 899 squadron marking is seen, otherwise this Sea Harrier has a upper Medium Sea Grey (BSC 637) colour and the ower wing and tailplanes a colour of Medium Grey. 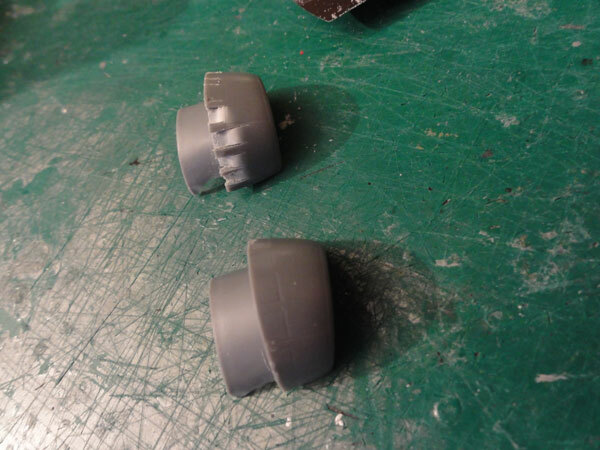 Nozzles were fitted, requiring a bit squeezing. 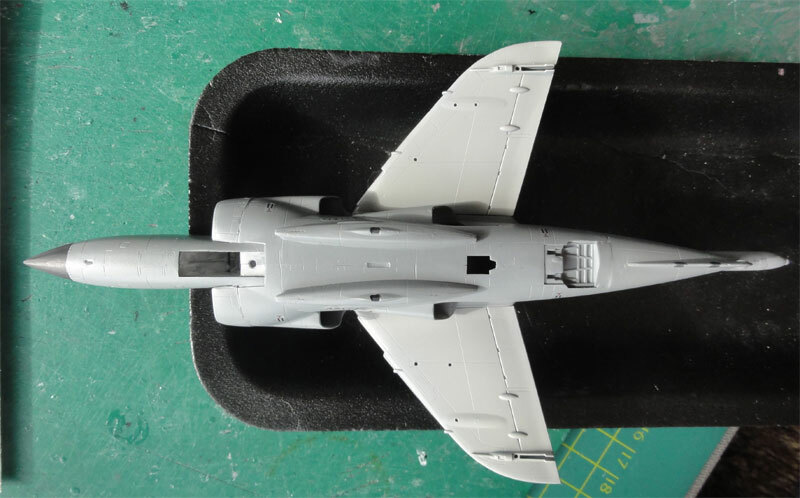 Undercarriage was now attached and as usual with Harrier models, this needed some alignment to get all "wheels to touch the ground". The canopy frame was painted and got 3 mirrors inside the frame. The detonator cord was already moulded in the nice kit canopy. Pylons and the two fuel tanks were added as well. Anti-collision lights were tipped with paint and got a drop of Microscale Kristal Kleer. The nose was painted black. 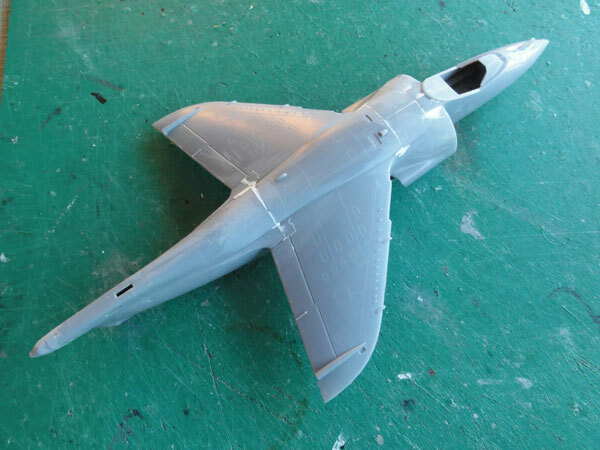 Some PROMODELLER wash was added with a tiny brush to emphasize a bit the dirt at the ailerons, rudder and flaps. The model now got a protective coat with the airbrush using Johnson Future, thinned with 40% Alkohol. - a pitot tube added made from a needle and set on with superglue. - on the nose, a small yaw vane was added, is in the kit! Part #12. - a windscreen wiper was made from thin metal wire and added as well. - canon pod gun muzzle dot made black. 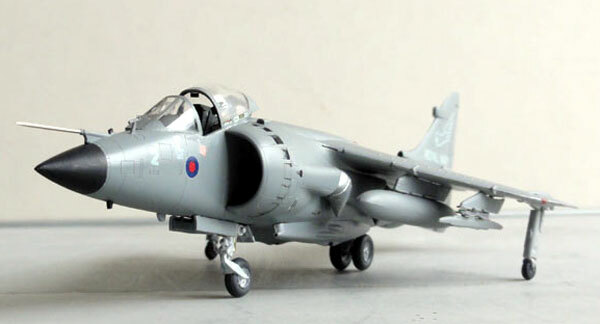 That completed a nice 1/72 Sea Harrier.